Die casting is the go-to manufacturing technology for mass-produced, lightweight components made from metal, predominantly Aluminum and Magnesium alloys. Most of the high pressure die casted parts are manufactured for the automotive industry but consumer electronics are also making use of this technology. High Pressure Die Casting (HPDC) means that a metal plunger is pushing liquid metal into a cavity at high speed and pressure. This process allows for the production of very thin-walled castings with repeatable product quality. 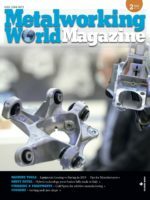 Up until recently, the HPDC process had a reputation of producing low quality parts/components with weak structural properties, but better process control and new alloys have changed this perception. These changes permit using heat treatable parts, thus allowing high pressure die casted parts to be used for structural components, replacing metal sheet or welding construction. One of the most prominent examples of this trend is the shock tower in a car. 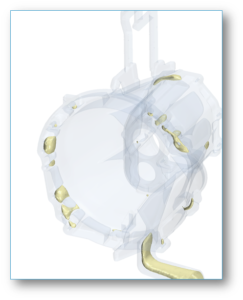 Another example for high pressure die casted parts is a gearbox housing of a car. Most common defect modes for die casted parts are shrinkage, porosities, misruns, gas inclusions. Of these, gas inclusions and misruns are hardest to control and often even modern simulation strategies struggle to provide adequate solutions. Problems occur because the mold filling is not well enough understood, making it hard to design the mold efficiently, by minimizing excess material, while at the same time respecting the die casting machine’s clamping forces. In addition, entrapped gas can lead to blistering during heat treatments, rendering the part useless for structural components or requiring too much fettling in areas where appearance of the part is critical. STAR-Cast is a powerful casting simulation module jointly developed by Access e.V. and CD-adapco. Drawing on CD-adapco’s 35 years of expertise in thermal-fluid simulation and Access’ 29 years of experience in casting and metallurgy, STAR-Cast integrates industry-leading CFD technology with the specific models required by the casting engineer, and brings a new level of precision into casting process simulation for the manufacturing industry. 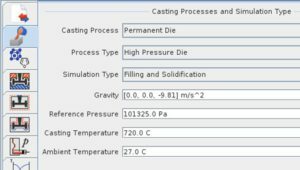 STAR-Cast can be used to address flow related issues more accurately, allowing for a better understanding of the complete casting process. The key to better predict the flow starts with a faithful representation of the plunger motion and identify possible shortcomings in the shot curve design early on. Achieving a higher fidelity flow description not only requires more detailed physics, but more attention needs to be paid to the discretization of the model as well. Many cast parts need to be heat-treated after the fact and gas inclusions in the metal can lead to undesired blistering. Therefore the simulation model needs to accurately predict the entrapment of air and gas during the filling process to aid understanding leakage problems and gas porosities. STAR-Cast allows the interaction between the molten metal and the air to be correctly described by modeling the air as a separate phase which can be displaced or entrapped within the melt, and either find its way to a appropriately placed bean or vent, or get compressed and remain inside critical areas of the cast part. The volume of fluid method is commonly accepted as a valid approach to capture multiphase problems with a sharp front between phases and neglected mixing. The turbulent flow, including phase changes in the melt, is usually computed using Navier-Stokes equations, but often the air phase is not accurately described. This is caused by applying a bulk pressure boundary condition on the free surface with no consideration for the air whatsoever. The more complex the geometry gets and the faster the filling process occurs, the more difficult it becomes to get accurate answers. STAR-Cast solves these difficult problems as it follows the continuum mechanics approach and allows to accurately calculate both air and melt flows inside the moldt. This comes at a slightly higher computational expense but is an important step towards predictive mold filling analysis. Accurately capturing geometric details and discretizing the geometry in a way that accommodates the steep gradients in temperature and velocity inside the casted part are other critical aspects of mold filling analysis. 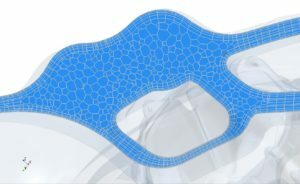 Since a high resolution mesh provides more insight into physical phenomena, smart meshing technologies are key to provide the required resolution in critical areas while saving cell count and computational effort where appropriate. For example, STAR-Cast allows to use multiple cell layers across thin sections of a part and grow the mesh density rapidly from there to areas where having a dense mesh is not as crucial . STAR-Cast also benefits from the state-of-the-art CAD-to-mesh pipeline of STAR-CCM+ and delivers automatically created, body-fitted, polyhedral meshes with prismatic layers to accurately capture the flow behavior and strong temperature gradients that occur during casting. A fast design cycle requires a simulation process that can quickly adapt to last minute design changes. One big challenge for the casting engineer is to have to deal with large CAD assemblies out of which only a subgroup is relevant for the simulation. These parts need to be extracted and transferred to the simulation package. Commonly used neutral file formats allow for a robust geometry transfer but lack a flexibility for design changes and lose a lot of information from the native CAD. STAR-Cast enables the engineer to plug in either data format, depending on the overall CAD-to-simulation process, although it is recommended to stay with native CAD as long as possible as it makes for easy part swapping and fast design evaluations with less user interaction. 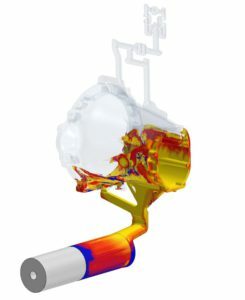 All this special attention to the physics and mesh serves the important purpose of making casting simulations more accurate and reliable but usability and turnaround time need to be considered as well. Increasingly more affordable compute resources and a modern software architecture designed for large models and strong parallelization are starting to take away a lot of the pain of having to wait too long on computational results. More importantly, the time spent setting up these types of problems needs to be minimized. 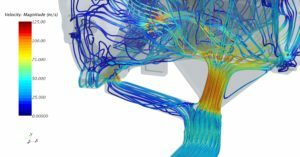 Engineers should be spending their time interpreting results and making decisions to improve the process rather than manually setting up simulations. This is why a streamlined process ensuring automation is mandatory. 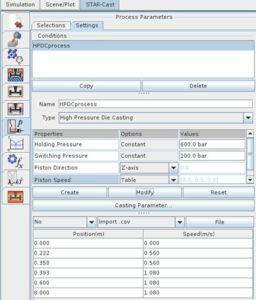 The guided workflow in STAR-Cast guarantees an efficient simulation setup so that process variations can be quickly evaluated. It enables process-driven simulations and allows users to load configurations and save case studies with little manual interaction, ensuring repeatability. The ever-growing demand of high pressure die casted parts with thinner walls and even larger surface-to-volume ratios has put a significant strain on the stability of the process as well as its simulation. This fact is further highlighted as die casted parts are more and more used for structural components in the automotive industry, requiring heat treatment. Air inclusions are critical applications where STAR-Cast offers a more detailed simulation approach to better address flow-related defects. This is possible by considering the air as a key factor to solving the problem, thus solving for it as well during the simulation. In addition, STAR-Cast gives the engineer the freedom to refine models so that all the physics can be resolved, resulting in better solutions. Finally, in order to be used in a productive manner, the parallelization and automation provided by STAR-Cast make it a very effective tool for high pressure die casting. 2. on how to learn the process of die casting practically.